We have made an in-depth analysis of the web hosting service from eUKhost by taking many factors into consideration including price, features, reliability, speed, support, and company reputation based of our real-time monitoring combined with thousands of comments from verified customers. eUKhost was originally founded in the year 2001 and, at the time, had only a handful of clients. Since then, eUKhost.com has witnessed unprecedented growth and now hosts over 100 000 websites. eUKhost’s wide array of services includes cPanel Hosting, Windows Hosting, Reseller Hosting, Semi Dedicated Servers, Business Web Hosting, VPS Hosting, Dedicated Servers and Offsite backup solutions. With data centers in Reading, Maidenhead and Milton Keynes, as well as an office in Leeds, eUKhost is one of the foremost hosting services based in the UK. 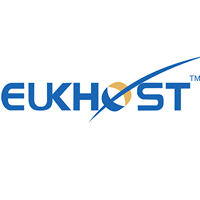 eUKhost offers three tiers of shared hosting service. You can choose between basic, intermediate and advanced service. You can also decide whether you want Windows or Linux servers. The basic and intermediate tiers limit your disk space and the number of databases your site can use. The advanced tier gives you access to more unlimited features, but you're still limited to five domains. Every website has different needs and requirements, so one of these plans will likely suit your site better than others. If you don’t' need unlimited disk space, then the lower tiers are good options. 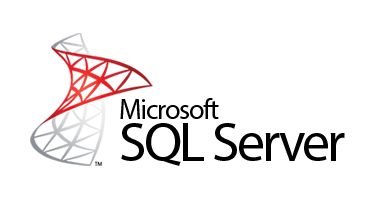 The services are compatible with a large number of Windows and Linux operating systems. It offers fast, auto-scaling, secure and reliable cloud services. With eUKHost service packages, users can choose different CPU power, RAM capacity and data storage at affordable prices. Its secure data centers are equipped with redundant N+1 parallel UPS system. It’s networking infrastructure is equipped with 100% Cisco routers and switches, VSS router configuration, and LINX 224 and 226 connections. eUKhost offers data security with features such as scheduled backup, storage gateway and data encryption. Features like auto-scaling, elastic load balancing, elastic IP addresses, on demand instances and reserved instances offer flexibility and persistence to users. Through server cloning, consumers can easily create optimized instances and deploy them on various PC systems. If you have any problems or queries, you can reach out to eUKhosts customer service team. These guys are based in the UK as well as India, where they operate their own callcenter and don’t use a third party callcenter to serve their clients. They are available via online chat, email or toll free telephone. However, the hosting packages leave something to be desired; limited disk space, domains and databases can stunt your website's potential future growth. To be honest, the fact that euKHost doesn’t offer 24×7 technical support via telephone and live chat bothers some customers, but it does offers one of the reliable ASP.NET hosting plans.